Chester County's new Community Profiles Web site allows for study of local population and resources. 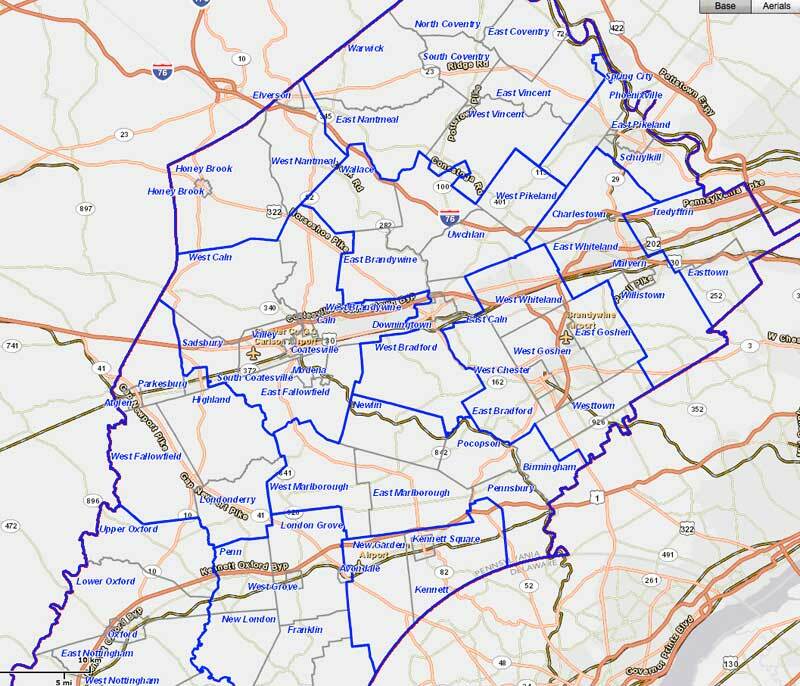 WEST CHESTER — Chester County is launching an interactive resource to provide information on the overall county, its 73 municipalities and 12 public school district. Community Profiles is available free of charge through the county’s website, www.chesco.org and the County’s Landscapes2 internet site, www.landscapes2.org. Community Profiles provides current information about the things that make Chester County a community — its people, housing, open space and development, transportation, economic development, government, and community facilities. Launch of the resource follows a presentation made by Ronald T. Bailey, Executive Director of the Chester County Planning Commission earlier this week, to the Chester County Board of Commissioners. “This is a phenomenally powerful tool for municipalities, businesses and community groups, as well as all Chester County citizens,” Bailey said. Community Profiles was researched, designed and developed by staff within the Chester County Planning Commission at no additional cost to taxpayers. “There is a lot of great information found in this software program that will be helpful to so many people and organizations – not just those living in Chester County, but also those who are looking to find out more about the specifics of all the communities that make up Chester County. It has tremendous economic benefits, as the ease of use will appeal to businesses looking to make Chester County their home,” said Commissioner Kathi Cozzone. Searches can be made according to the whole county, municipalities or school districts. Data can be displayed in the form of tables, graphs or maps. Additional information can be obtained by sorting data categories. Selections in the additional features section show locations of facilities and services.